A promise made prior to Christmas is now becoming a summer time nightmare for some. Last December, Donald Trump, the then President-elect told scores of workers at a manufacturing plant operated by Carrier that he worked out a new deal so their jobs would be saved. However, it has not worked out the way he promised. 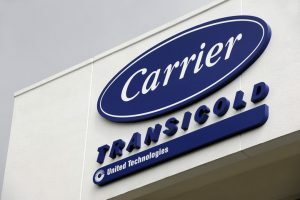 Carrier is laying off as many as 600 union workers as their jobs are heading south of the border. The jobs will be going to Monterrey, Mexico announced the local union’s president Robert James. Workers that talked to the media said they were betrayed, since Trump has told them last December during his visit that more than 1,100 jobs were saved. Trump also told the workers that the number of jobs would increase as Carrier would expand the plant, so 1,100 would be a minimum number of jobs. Lashing out at companies that moved jobs of American abroad was a big part of the Trump presidential campaign, and saving jobs at Carrier was touted as the bargaining prowess Trump possessed. Trump told workers in December that they would have a very good Christmas. However, the truth was 400 of the 1,100 jobs that were mentioned by Trump were white-collar and were never in jeopardy of being lost. Only 700 of the union jobs ended up being saved while 600 others were cut, and Carrier is not suffering anything. The company received an incentive package of $7 million by the state of Indiana to maintain its plant open even with a smaller workforce. The union president said that what is happening now is what Trump said would not happen when he visited in December. James added that a large number of people voted for Trump as they had an understanding he would help save their employment. One worker, who voted for Trump, and is amongst those whose jobs were cut, said he liked the jobs very much and was hoping that he would one day retire from the same job, but it will not happen now. On Friday, at the White House, Sean Spicer the press secretary said the cuts in jobs had been long planned and the announcement was not anything new. The first group of job cuts will take place in July with the second group during December, just three days prior to Christmas, announced the union.